15%OFFSALE *** MissManeater deep V front cheeky scrunch bum high cut one piece swimsuit ***BRAZILIAN cut! This could be the GREATEST one piece in the WORLD!!!! Yeh.....we are as modest as the 'maneaters' who choose to wear! Deep V front with soft neck ties......the legline is a high cut with scrunch bum detail. This style is constructed from the highest quality NEON YELLOW matt nylon lycra lined both front & back with WHITE lining. Ask US for custom make & you can choose from any colour you like! 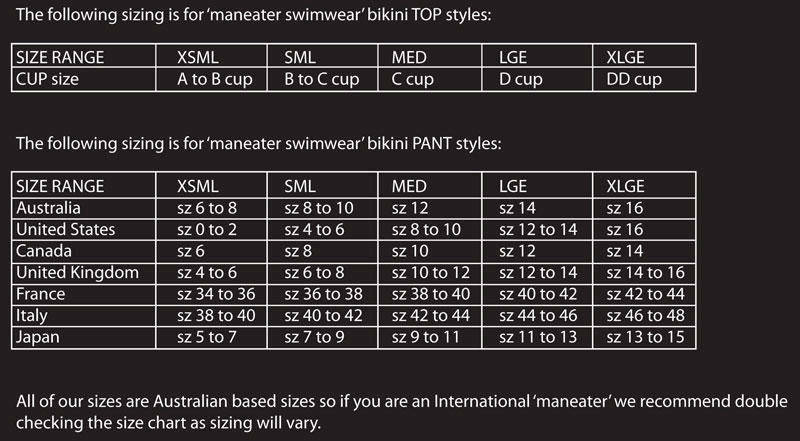 We want you to STAND OUT from the rest.....wearing the BEST....'maneater swimwear'!